176.Honesty means to give your heart to God; never to play Him false in anything; to be open with Him in all things, never hiding the truth; never to do that which deceives those above and deludes those below; and never to do that which merely ingratiates yourself with God. In short, to be honest is to refrain from impurity in your actions and words, and to deceive neither God nor man. 177. You ought to know that God likes an honest man. God has the substance of faithfulness, and so His word can always be trusted. Furthermore, His actions are faultless and unquestionable. This is why God likes those who are absolutely honest with Him. 178. I very much appreciate those who harbor no suspicion about others and I also very much like those who readily accept the truth; to these two kinds of men I show great care, for in My eyes they are honest men. 179. If seeking the way of the truth pleases you well, then you are one who dwells always in the light. 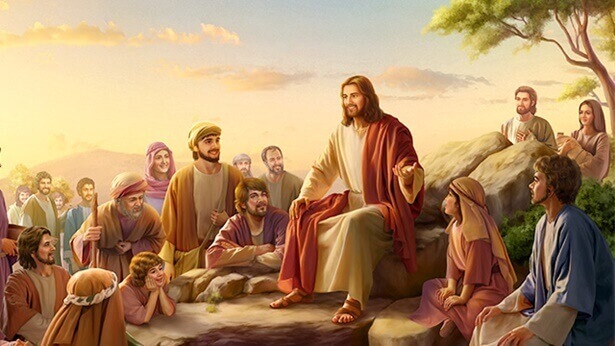 If you are very glad to be a service-doer in the house of God, working diligently and conscientiously in obscurity, always giving and never taking, then I say that you are a loyal saint, because you seek no reward and are simply being an honest man. If you are willing to be candid, if you are willing to expend your all, if you are able to sacrifice your life for God and stand witness, if you are honest to the point where you know only to satisfy God and not to consider yourself or take for yourself, then I say that these people are those who are nourished in the light and who shall live forever in the kingdom. 180. In the dispositions of normal people there is no crookedness or deceitfulness, people have a normal relationship with each other, they do not stand alone, and their lives are neither mediocre nor decadent. 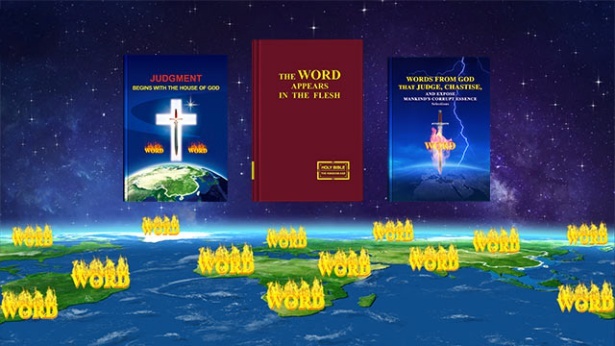 So, too, is God exalted among all, His words permeate among man, people live in peace with one another and under the care and protection of God, the earth is filled with harmony, without the interference of Satan, and the glory of God holds the utmost importance among man. Such people are like angels: pure, vibrant, never complaining about God, and devoting all their efforts solely to God’s glory on earth. 181. My kingdom requires those who are honest, not hypocritical, and not deceitful. Aren’t the sincere and honest people in the world unpopular? I am completely opposite as it. It is acceptable for the honest people to come to Me; I delight in this kind of person, I also need this kind of person. This is precisely My righteousness. 182. I don’t like to be flattered or fawned on, or treated with enthusiasm. I like honest people to face up to My truth and expectations. Even more, I like when people are able to show the utmost care and consideration for My heart, and when they can even give up everything for My sake. Only this way can My heart be comforted. 186. Those who are pure; those who are open; those who are honest; those who are not controlled by any person, thing, or matter; those who are childlike in appearance though they are mature in life, these ones are My beloved, the objects of My blessing. 188. Whenever you do anything, you must examine whether your motivations are right. If you are able to act according to the requirements of God, then your relationship with God is normal. This is the minimum criterion. If, when you examine your motivations, there emerge those that are incorrect, and if you are able to turn your back on them and act according to the words of God, then you will become someone who is right before God, which will show that your relationship with God is normal, and that all that you do is for the sake of God, and not for yourself. Whenever you do or say anything, you must put your heart right, be righteous, and not be led by your emotions, or act according to your own will. These are the principles by which believers in God conduct themselves. 189. All that you do, every action, every intent, and every reaction must be brought before God. Even your daily spiritual life—your prayers, your closeness with God, eating and drinking of God’s words, fellowship with your brothers and sisters, living the life of the church, and your service in partnership—must be brought before God and observed by Him. It is such practice that will help you mature in life. The process of accepting God’s observation is the process of purification. The more you accept God’s observation, the more you are purified, and the more you are in accord with God’s will, so that you will not hear the call of debauchery and dissipation, and your heart will live in His presence. The more you accept His observation, the more ashamed Satan is and the more you are able to forsake the flesh. So, the acceptance of God’s observation is a path people must practice. No matter what you do, even during fellowship with your brothers and sisters, if you bring your acts before God and seek His observation, and if your intent is to obey God Himself, what you practice will be much more correct. Only if you bring all you do before God and accept God’s observation can you be someone who lives in the presence of God. 190. No matter whether it’s when you pray, when you speak and fellowship with your brothers and sisters, or when you perform your duty and handle your business, you must lay your heart before God. When you fulfill your function, God is with you, and so long as your intent is correct and is for the work of God’s house, He will accept all you do, so you should earnestly devote yourself to fulfilling your function. When you pray, if you have love for God in your heart and seek God’s care, protection, and observation, if these are your intent, your prayers will be effective. For example, when you pray at meetings, if you open your heart and pray to God and tell Him what is in your heart without speaking falsehoods—then your prayers will be effective. 194. You should know whether there is true faith and true loyalty within you, whether you have a record of suffering for God, and whether you have wholly submitted to God. If you lack these, then there remains within you disobedience, deceit, greed, and complaint. As your heart is far from honest, you have never received positive recognition from God and never lived in the light. How one’s fate will work out in the end hinges upon whether he has an honest and blood-red heart, and whether he has a pure soul. If you are someone who is very dishonest, someone with a heart of malice, and someone with an unclean soul, then the record of your fate is certainly in the place where man is punished. If you claim to be very honest, and yet never manage to act in accordance with the truth or to speak a word of truth, then are you still waiting for God to reward you? Do you still hope for God to regard you as the apple of His eye? Isn’t this a preposterous way of thinking? You deceive God in all things, so how can the house of God accommodate one such as you, whose hands are unclean? 195. For the sake of your fate, you ought to seek to be approved by God. That is to say, since you acknowledge that you are numbered among the house of God, you ought then to bring peace of mind to God and satisfy Him in all things. In other words, you must be principled in your actions and conform to the truth in them. If this lies beyond your ability, then you shall be detested and rejected by God and spurned by every man. Once you have fallen into such a predicament, you cannot then be counted among the house of God. This is what it is meant by not being approved by God.